"This recipe delivers a basic cream cheese frosting using just butter, cream cheese, confectioners' sugar, and vanilla." Great frosting! I only used 2 cups of powdered sugar and it came out fantastic. This frosting is so yummy! I recommend starting with 3 cups of sugar and adding more to taste. This is fantastic! 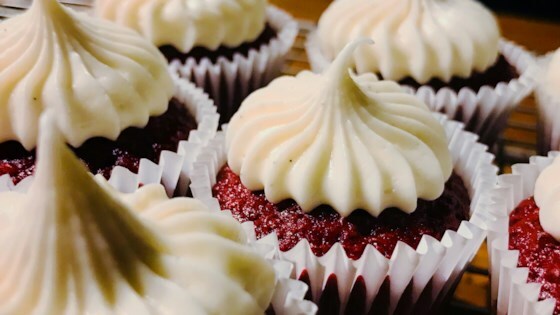 I have been searching for a cream cheese frosting that is not too sweet and this is it! It is the perfect proportion of cream cheese, butter, and sugar. Enjoy!